Welcome to Clean Slate VA! Yorktown's premier multi-surface specialist, providing maintenance and restoration to your hard and fabric surfaces. At Clean Slate VA, we provide tile cleaning, carpet cleaning, stone sealing, color sealing (grout staining), upholstery cleaning, grout repair and surface restoration solutions for residential and commercial establishments in the greater Yorktown area. 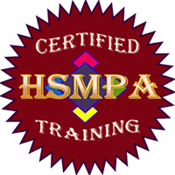 We are the only HSMPA certified firm in the area.